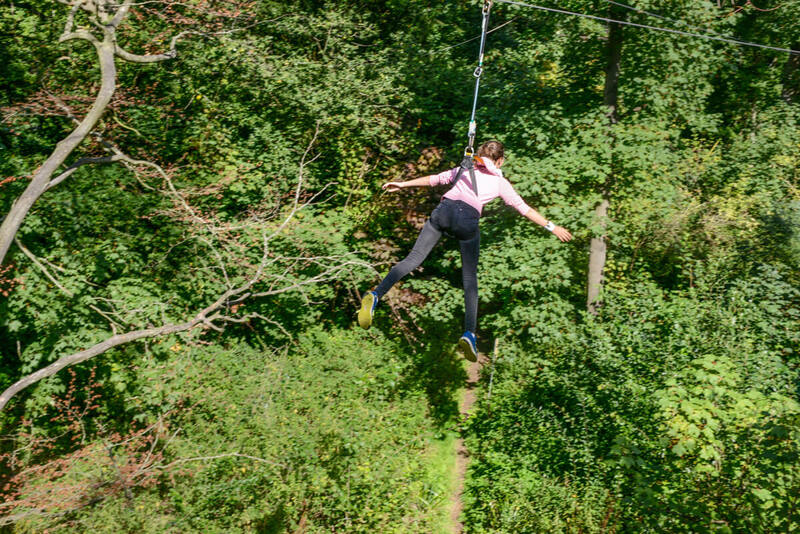 ziplines & drop features of Wild Wood, all in one hour. 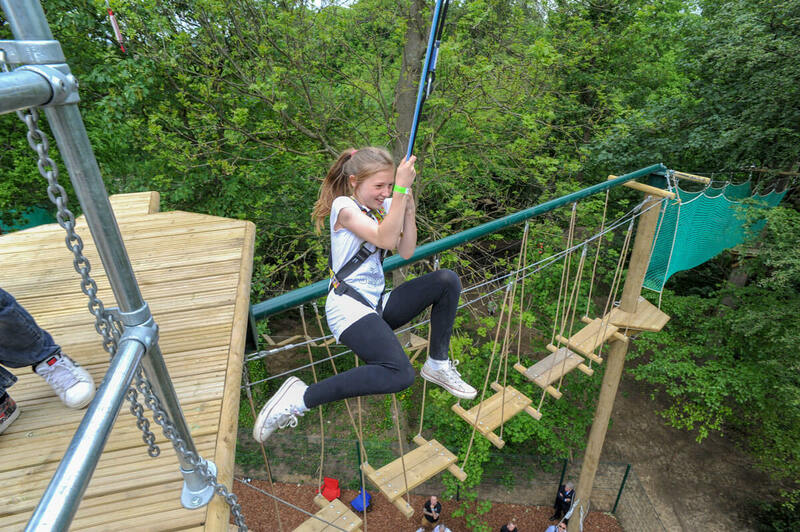 A whole hour of unlimited access to the Zip Zone, 15 metres up at the top of our tallest tower. 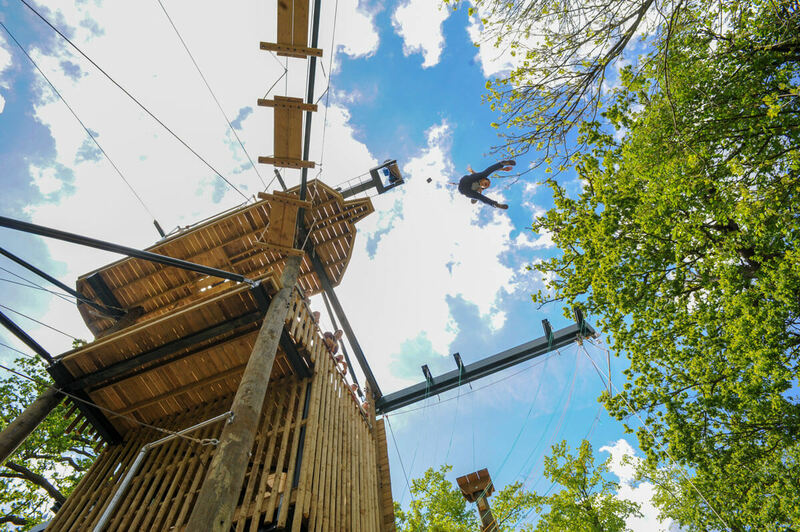 Dare yourself and your friends on our longest, fastest ziplines, and on the greatest test of nerve, the Wild Drop. 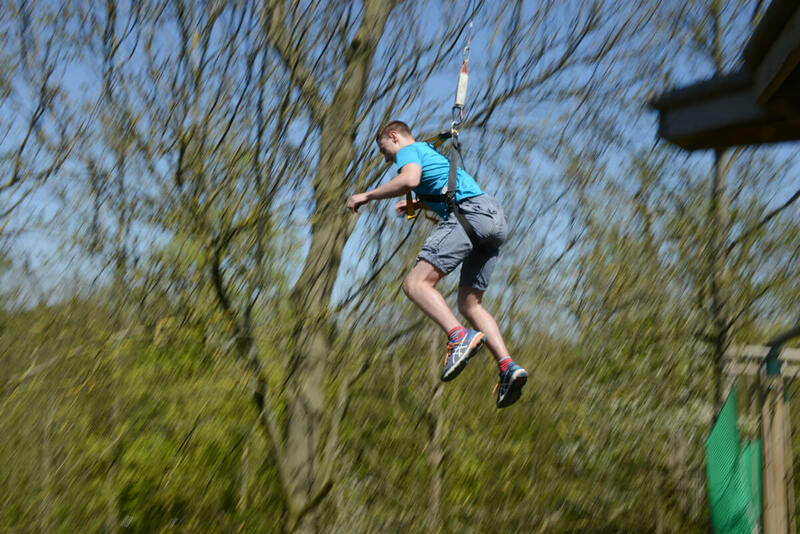 Designed for pure adrenaline filled fun while looked after by our instructors! 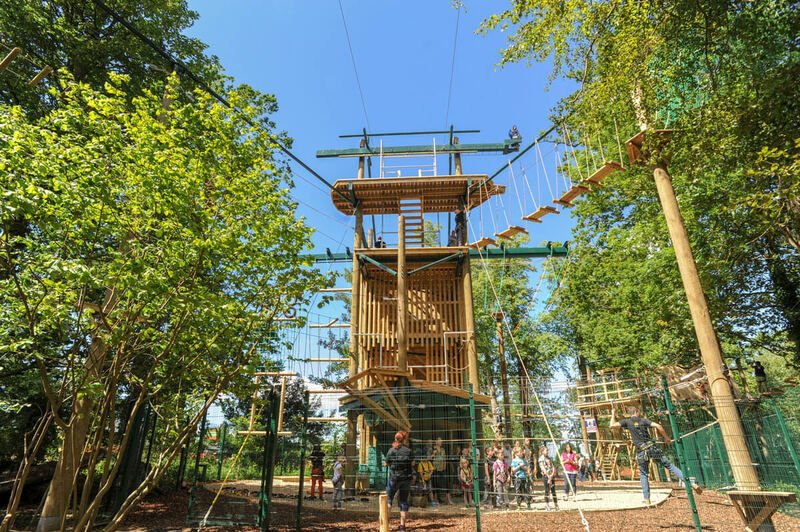 £17.50 per person. 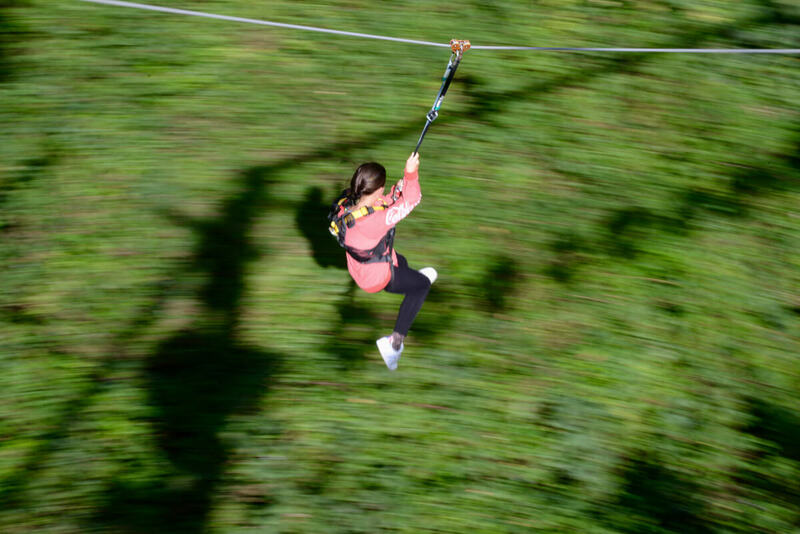 Route-one to the fastest fun: An hour of high level excitement. An hour of full-on fun. 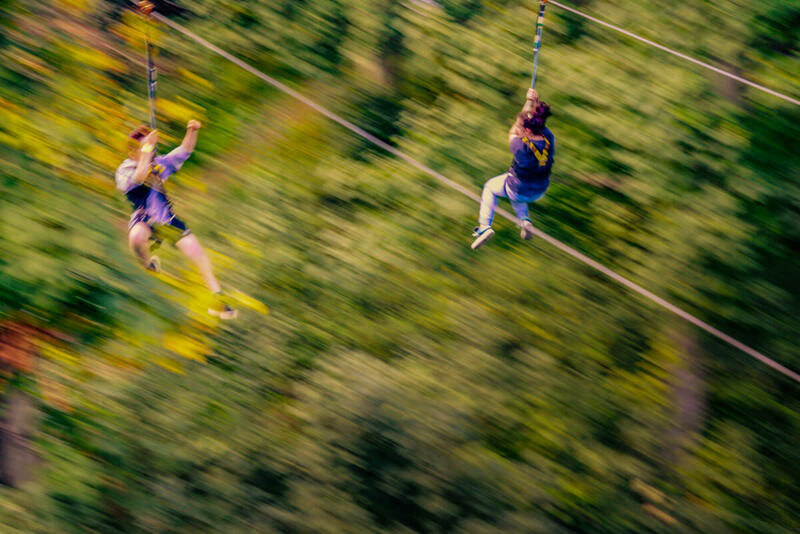 Two-up on the fastest zips. 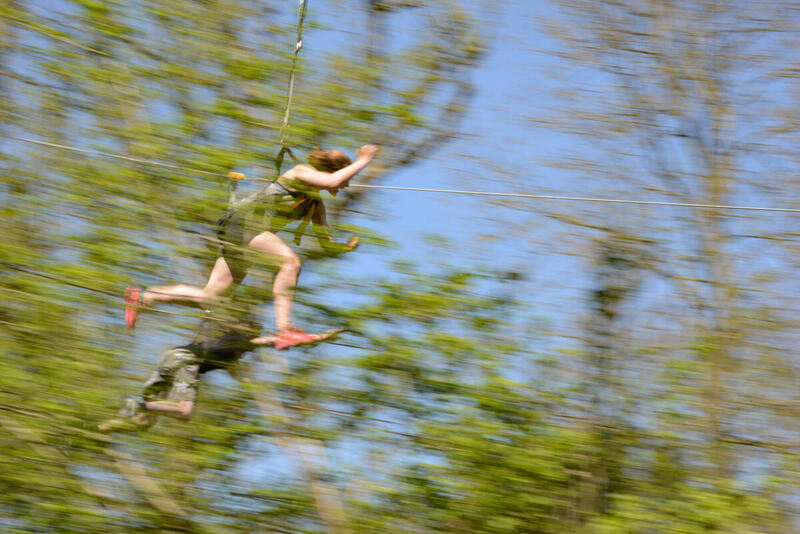 Add extra Zip Zone to your Extreme Wild booking. 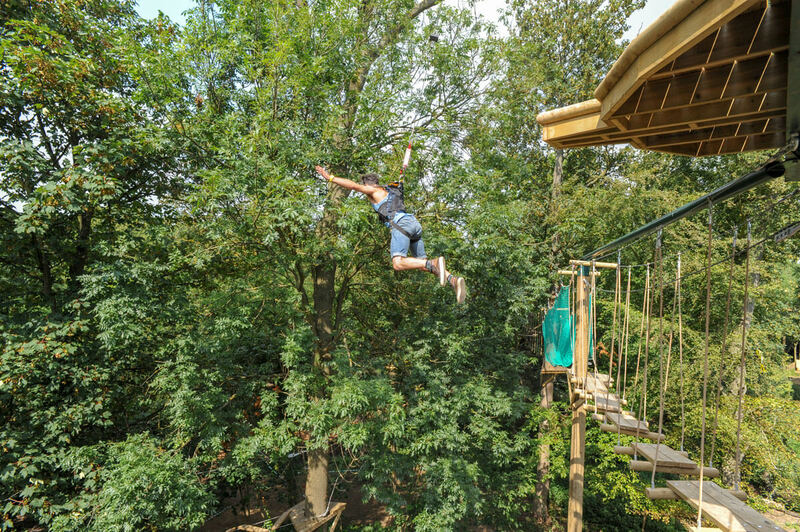 The Zip Zone launch pad. 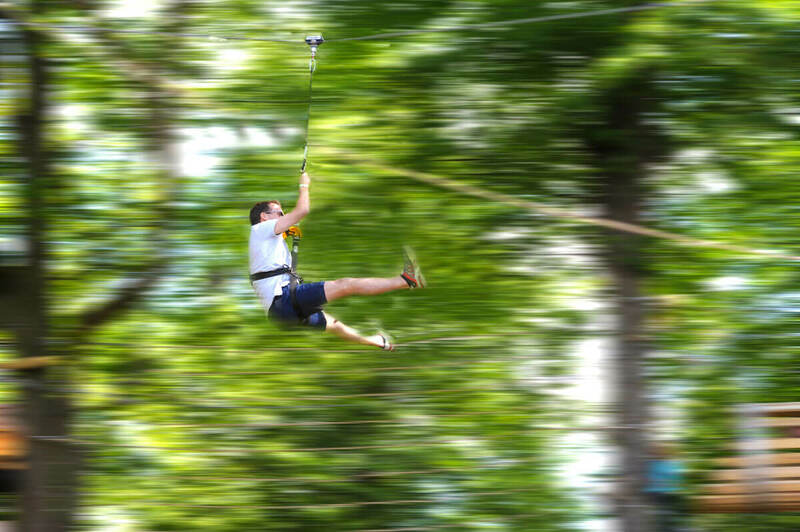 It's high, it's fast, it's fun.